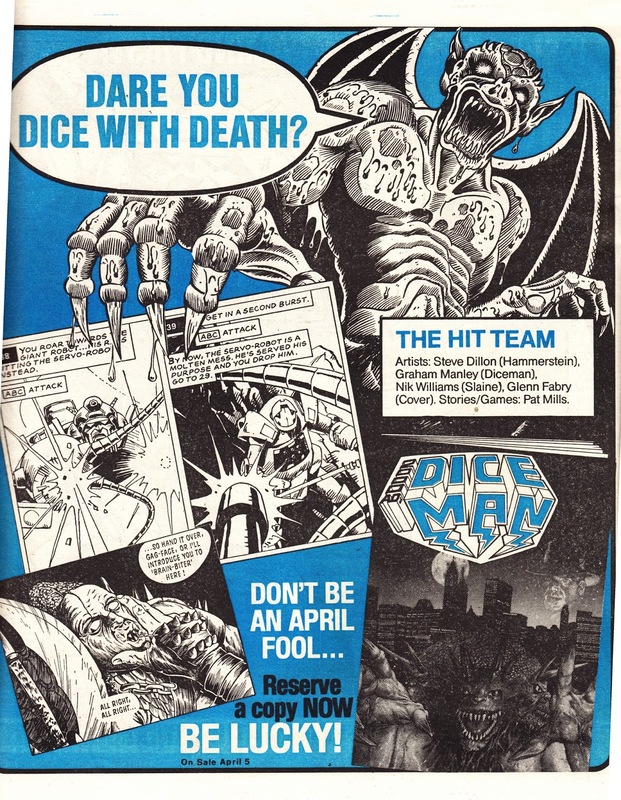 Early April 1986 also saw the second issue of Tharg's glossy (and pricy!) 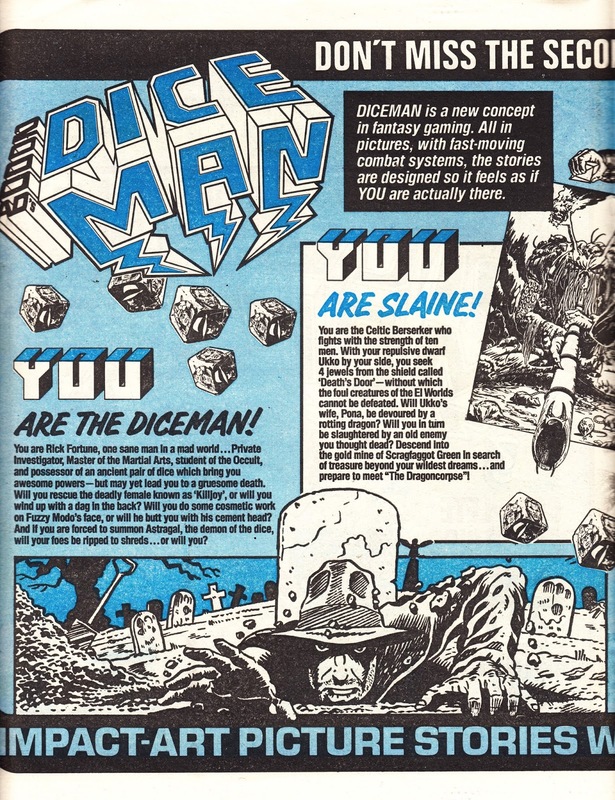 Role Playing/ Fighting Fantasy-inspired spin-off DICEMAN hit newsagents. 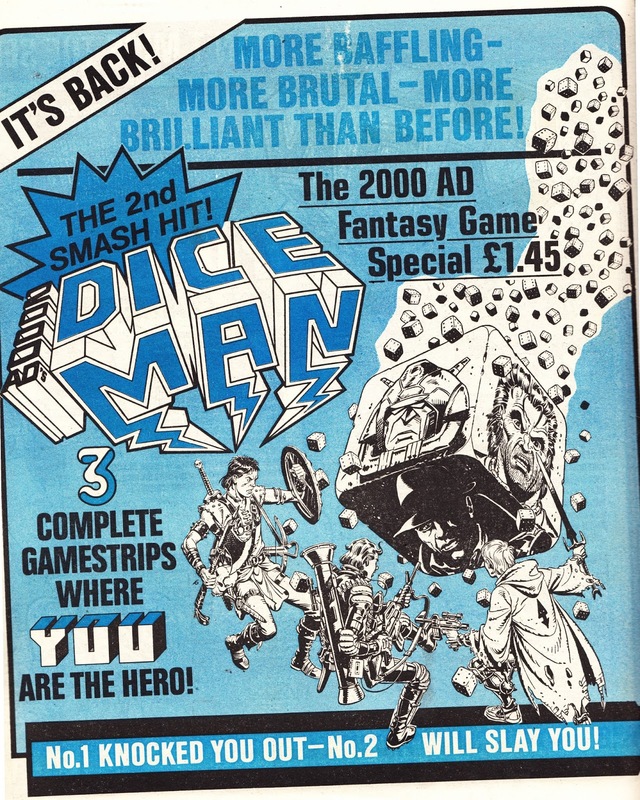 IPC made the most of their size and synergy to give it the biggest plug possible (short of spending money externally) by devoting the four centre-pages of EAGLE (and - presumably - other weeklies, although I've not checked) to an extended plug for the second "special". 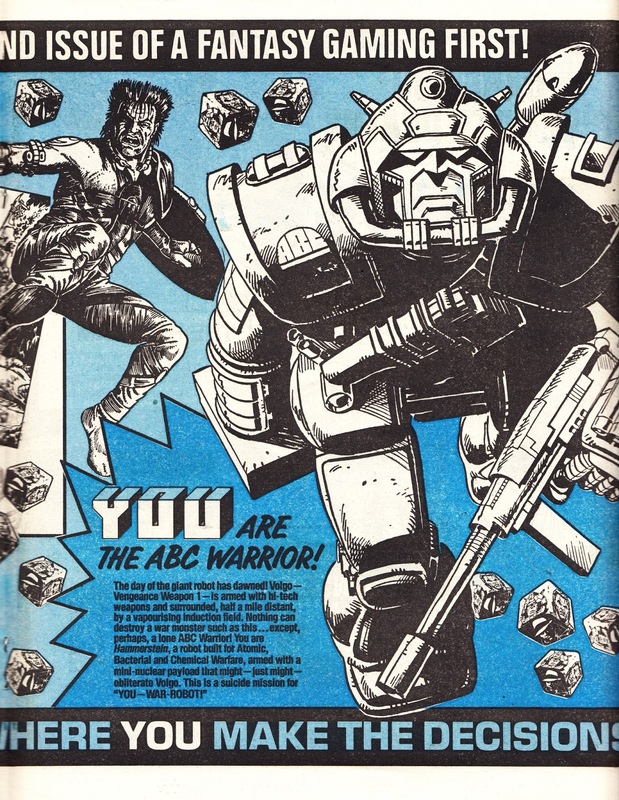 This appeared in the issue cover-dated 5 April 1986.